They said it would never happen, HE said it would never happen ! Finally, the time has come. 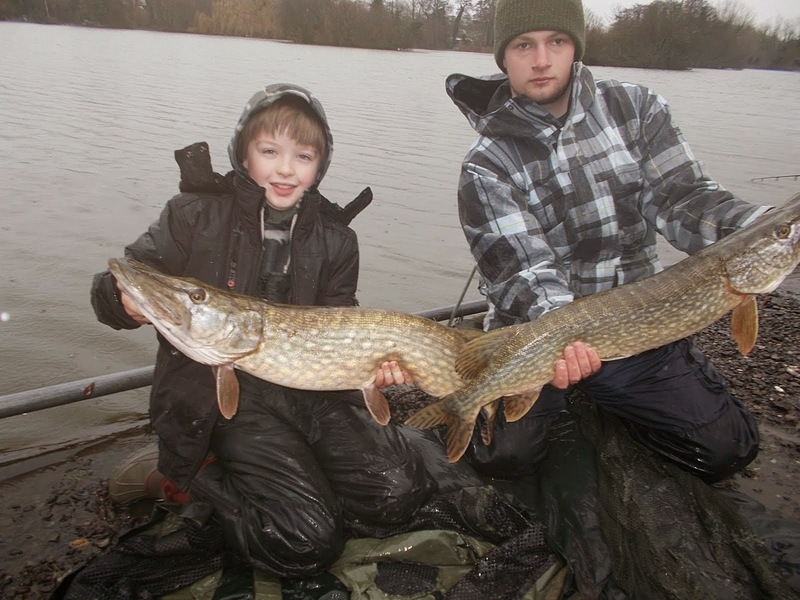 Terry's big pike captures has seen him elevated up on Neville Fickling's Notable Big Pike list to number 9. With a total of fifteen 30lb plus pike caught over his 15 yrs pike angling, forty-three over 25lb and 135 x 20lb plussers, it's easy to see why. But what made Terry so successful, other than being on the right waters? Huge 30lb pike caught from drains, lakes and reservoirs,it's been quite a journey. 6 different 30lbers in one storming season ! It hasn't all been plain sailing, Terry has been to the brink, his drive and determination has cost him in his personal life. Ability to read a water on any particular day, well that's watercraft and something that takes years to master and hours spent on bank. Terry tells his story, a much awaited talk from the Essex angler who was always a familiar face at our Essex PAC Region meetings. We can't wait ! 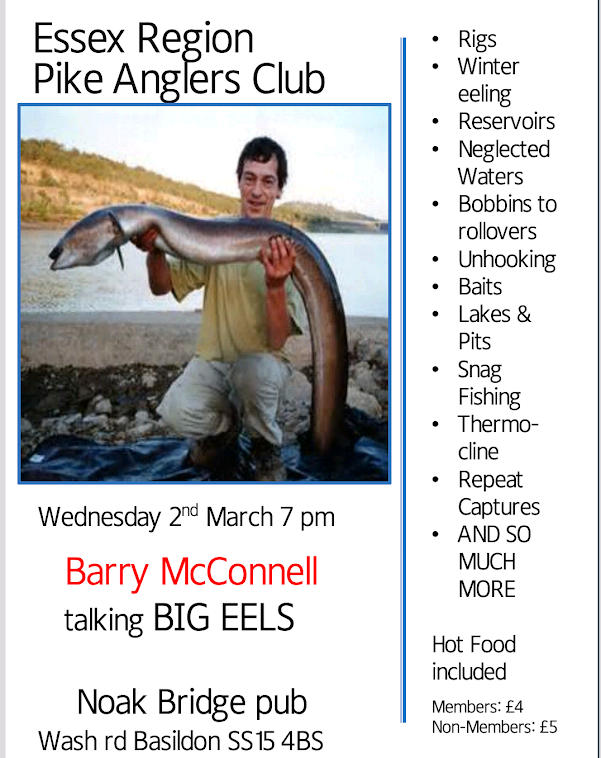 PikeAnglers Club (PAC) Members and non members welcome to this talk and slideshow on our big screen at the Noak Bridge pub, 45 Wash Rd, Noak Bridge, Laindon Essex SS15 4BS 7.30PM Entry is £4 PAC members and £5 non-members.